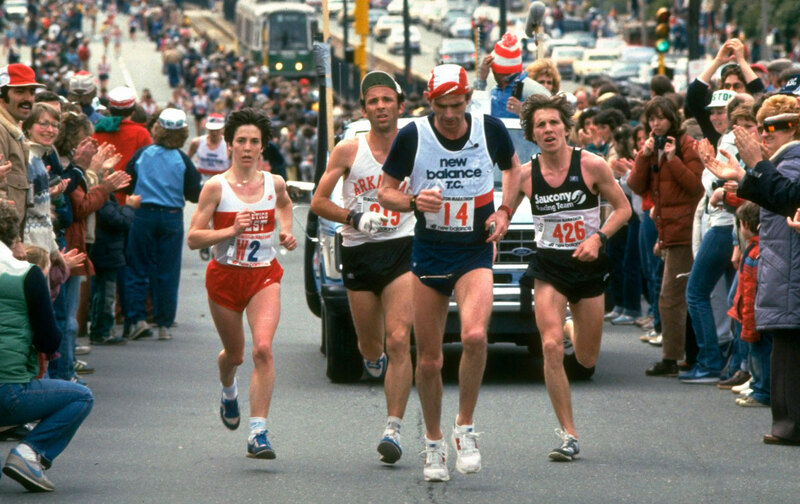 By this point in the 1983 Boston Marathon, Joan Benoit (W2) had long since shed young Rich Chesmore—and any women competitors—and was on her way to history. Benoit’s winning time of 2:22:43 was a world best and would stand as the Boston record for 11 years. Benoit would follow her Boston triumph with an Olympic gold in 1984.